Golf Towel - Hook & Grommet - Promote Your Brand For All 18 Holes! 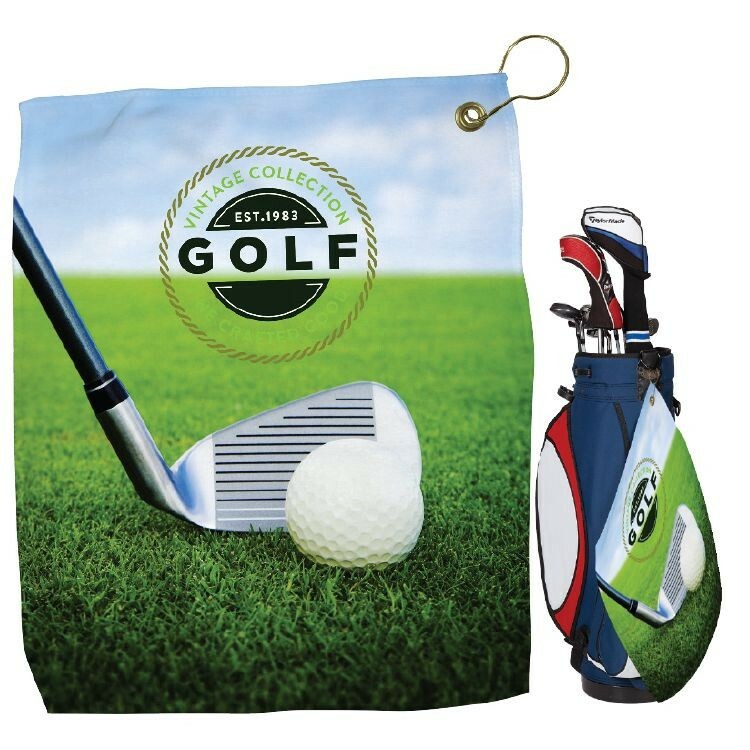 Designed for the avid golfer, this towel is perfect for keeping your hands clean, wiping club heads or polishing off a golf ball out on the course. Show off a brand + logo with a bright, full color image. You can even print from edge to edge on this towel. The non-printed side of this towel is white. This golf towel comes with a hook and grommet for easy connection to your golf bag. Take this Golf Towel out on the Green For a Full 18 Holes of Brand Exposure!